Researching home security systems can be a daunting task. With so many available options, narrowing down the field can be difficult. The Home Security Advisor simplifies the process. We’ve spent thousands of hours and analyzed hundreds of options to try to help you identify the Best Wireless Security Systems to help protect your home and family. Each of the Top 3 Best Wireless Alarm Systems delivers compelling and persuasive benefits that make them a top contender for any prospective home security buyer in the market for a professionally monitored wireless home security system. Our top wireless security companies offer the some of the best values in the industry. So-regardless if you’re hoping to minimize up front and monthly costs, get the very best customer service or find broadest assortment of cutting edge security and home automation equipment, our top wireless home security systems have you covered. The core of the majority of wireless home security systems is the central control panel. The panel controls each of the sensors as well as transmits a signal to the central monitoring station if an alarm takes place. Panels furnished with touchscreens offer next-gen functions as well as user-friendly operation. 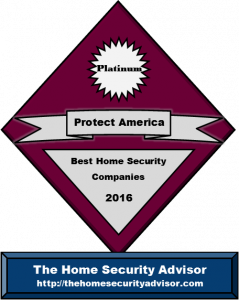 Protect America was chosen as the best overall value for a Wireless Home Security System. Perhaps the greatest advantage they offer is the fact that they minimize the up-front expense. This is often the greatest barrier that prevents home owners and those living in apartments from getting a security system. $0 Up Front Fees – Protect America makes it affordable for almost anyone to get a security and home automation system, by minimizing the initial investment. They offer basic security packages starting at just $19.99 a month….all the way up to the Platinum Package. This package includes as much as a $1400 worth of equipment without any up-front expenses! Inexpensive Basic Monitoring Rates– If you’re on a tight budget, or you aren’t looking for all the bells and whistles, Protect America features monitoring prices for as little as $19.99 /mo. Their Copper Plan includes their most affordable monitoring rate, using land line services. It includes a standard security system-with NO up-front hardware expenses. Lifetime Equipment Warranty – All the equipment is warrantied for as long as one remains a Protect America patron. Rate Lock – Unlike many alarm companies that use escalation clauses and increase your rates following the 1st year, Protect America locks in your rate. Best Price Guarantee – Protect America guarantees you get the ideal home security system for the very best selling price. If you find a lower price on the very same system and they’re going to meet or beat it! Protect America provides affordable wireless home alarms systems that are simple to install as a DIYer. 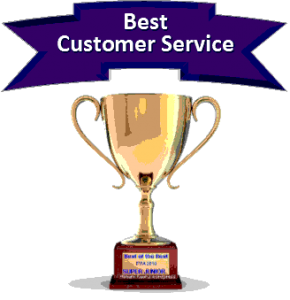 They provide FREE equipment packages, without up-front hardware expenses, multiple monitoring options, Best Price Guarantee, Lifetime Warranty and top notch customer support. Protect America is without a doubt the first choice in all around value! Exceptional Buyer Experience– Presently there are plenty of companies that maintain an A or A+ Better Business Bureau rating…there are generally just a only one or two that exceed customer expectations as consistently as Frontpoint. Online customer reviews and comments are typically extremely favorable and naturally 94% of their clients would certainly endorse them. Contrary to the vast majority of their competition, the promotional strategy is generally low key with virtually no pressure. Prefer Frontpoint…but, don’t want to be committed to a three year contract? Unlike the many other foremost security companies, Frontpoint features both a one and three year option. 100% Wireless- Frontpoint delivers the most reliable solutions such as the highly regarded GE Simon XT wireless alr4m system (in addition to the available Qolsys upgrade) equipped with standard 100% cellular monitoring. This method eliminates the chance of severing the telephone or perhaps cable lines as a way to disable the transmission of a signal to the monitoring center. First-class Technology and Monitoring Capabilities – Along with their substantial menu of available security, surveillance and home automation solutions, Frontpoint provides extremely sophisticated alternatives as part of their Interactive monitoring services. Operated by Alarm.com, Frontpoint products incorporate “Crash and Smash” protection along with Geo-Location Solutions. The former ensures that the monitoring provider is going to be notified even if the system were to be damaged…and the latter enables revolutionary product automation functionality controlled by GPS cellular locations. Transparency coupled with Integrity– Unlike many security internet sites, Frontpoint is very transparent.. Prices tend to be clear-and there won’t be any tricks or hidden fees. They are so very confident that they provide one of the best home alarm systems available that they will back it with a No-Hassle, 30 Day Money-back Guarantee. In fact, thare are no shipping charges (either way) and no restocking charge! Frontpoint provides you with outstanding customer care along with one of the premier DIY wireless security alarm solutions out there. They’ll let you be the judge by offering a 30 Day Full Money Back Guarantee. And they also offer an extensive product selection that includes security cameras along with energy management. Extraordinary Reputation – While they are probably not a household name brand (yet), Link Interactive is without a doubt making out a place in the majority of Top Five Best Wireless Home Security Company lists. Link Home Security is the wireless DIY home security department of Mountain Alarm. They are actually an established regional security company which enjoys an A+ BBB ranking and offers sixty years’ experience with the sales and installation of home security systems. Their customers give them a 98% client approval score. A Variety of Hardware as well as Monitoring Options – Link Interactive wireless alarm systems highlight the foremost up-to-date 2 Gig Technologies components, along with feature rich monitoring alternatives. Link Interactive monitoring comes with all of Alarm.com’s ground breaking features like: Crash and Smash Protection, Geo Location Services…along with 2-way voice assistance. Simple, Competitively-priced Monitoring Cost – Together with very competitive monitoring rates, Link Home Security continues to keep it simple when it comes to their services. Their “basic” Gold Plan includes cellular monitoring and Alarm.com interactive services and full home automation for one low price-$30.99 a month. Add home automation…and it’s just $35.99/mo. Want to have video recording? Absolutely no Problem…just $5/mo. more. Link Home Security provides you with amazing support services together with probably the most extensive security and home automation programs available. They are surely one of the best DIY wireless security system companies . They offer you a wide-ranging equipment selection and extremely reasonable monitoring plans. They provide highly rated Alarm.com interactive products including Crash and Smash protection and 2-way voice authentication. 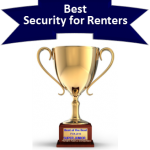 For a detailed analysis, read through our Link Home Security Reviews or get a FREE Quote and more details about the reasons why Link Home Security is considered one of the best home security companies of 2017.